Staphylococcus is a genus of Gram-positive bacteria. 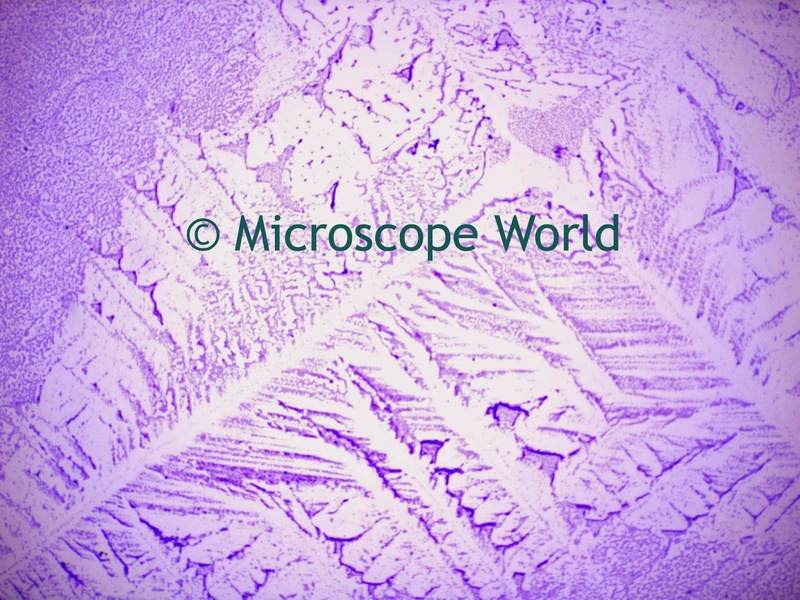 Under the microscope Staphylococcus appears round and forms grape-like clusters. Staphylococcus Bacteria under the microscope at 100x magnification. You may be familiar with Staph infections. There are over 30 types of Staph infections, but Staphylococcus aureus causes most staph infections including Pneumonia, food poisoning, skin infections, toxic shock syndrome and blood poisoning. Skin infections are the most common type of infection. Most staph infections are treated easily with antibiotics. The best way to prevent a staph infection is by keeping hands and wounds clean. Staphylococcus Bacteria at 400x under the U2 biological microscope. The Staphylococcus bacteria prepared slide is available as part of the Bacteriology prepared slide kit. 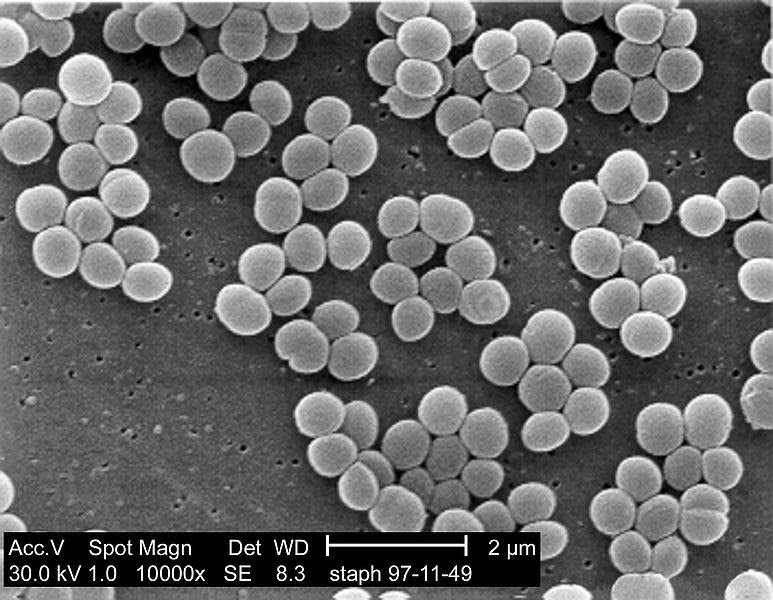 The image above is Staphylococcus Aereus captured under a scanning electron microscope and 10,000x magnification.